Artificial intelligence algorithms need tremendous amounts of computing power to run, practically ensuring that the technology is available only to large companies that can afford to invest in advanced processors and servers. By easing access to the cloud—networks of massive data centers linked through the internet—Amazon Web Services (AWS) makes it possible for small technology startups to develop and launch AI applications for both businesses and consumers. 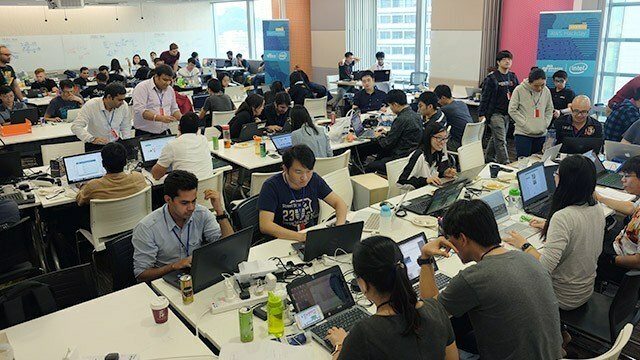 So when the unit of the world’s largest online retailer sponsored a Hack Day in Singapore early this month for that purpose, the 22 invited teams of engineering students and professional developers from the Lion City did not disappoint. One of the winning teams developed software that can determine if crops need watering or are ready for harvest. It uses input from sensors on the ground connected to the cloud. Farmers can check the status of the crops through an app, which can also alert them if anything needs immediate attention. Another group built a security system that notifies homeowners or shopkeepers when somebody is at the door. Through a smart camera that takes pictures of anyone at the entrance, the system will automatically send an image to the user through e-mail or an app. The system can also be configured to allow the homeowner or shopkeeper to open the door and let the visitor in remotely. 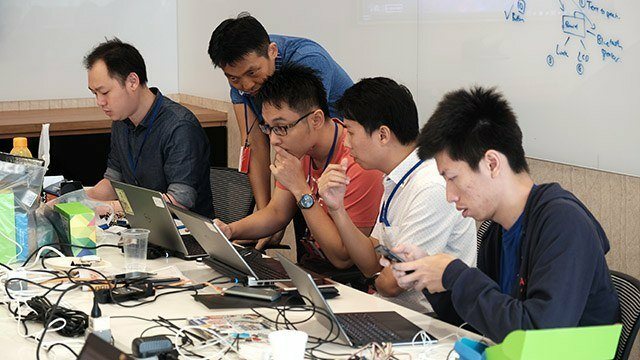 While the AI apps are only prototypes at the moment, AWS APAC Solution Architect for Emerging Technologies Olivier Klein said the projects only show how artificial intelligence could benefit homes and enterprises in the future. Developers representing the Singapore unit of Dyson, the British maker of vacuum cleaners, hand and hair dryers, bladeless fans, heaters and other products, came up with a smart home vacuum that can detect the location of dirty spots on the floor and proceed to automatically clean them up. AWS is the world’s biggest provider of cloud services with 42 availability zones around the globe. It accounts for 40 percent of the market, according to Synergy Research. With revenues of $11.8 billion in 2016, it is emerging as one of Amazon’s biggest moneymakers. According to Forbes magazine, the cloud company now contributes around 35 percent of the Amazon’s total valuation. To keep market leadership, AWS is introducing cloud-based AI services and has already launched three such tools last December. These are Polly (text-to-speech), Lex (automated conversation) and Rekognition (facial recognition). “These tools aim to empower and help startups do what they do best,” said Alex Smith, AWS APAC solution architect for media and entertainment. The writer was a guest of Amazon Web Services in Singapore.